Kody Brown & Wife Robyn Fight On Tell-All Over Arizona Move! Tensions rise between Kody Brown and legal wife, Robyn Brown, on a special Sister WivesTell-All episode, airing tonight on TLC. Kody explains his reason behind the family’s move from Las Vegas to Flagstaff to host, SuChin Pak — and Robyn gets testy when Kody doesn’t promise to stay in Arizona forever. During the Tell-All special, Kody explains that he was just “trying to find a place” that he “fit” — referencing his antsy need to uproot his family after only five years in Vegas. “I was just trying to find the square hole for our square peg,” Kody says. Kody Brown reiterates that he will not guarantee a forever address, and Robyn bristles. The tension is real and the vibe is awkward — before Kody backtracks. “My intention and my plan is to stay there forever,” Kody assures his wife — but Robyn isn’t buying it. “You’re not making any kind of commitment. You’re always non-committal when it comes to this subject. Everybody is, you guys all are,” Robyn jabs, before delivering a wishy-washy imitation of the other three women. Fans know that the family relocated to Flagstaff after Robyn’s son, Dayton Brown, was accepted into a local college. But will the Browns make Flagstaff their post-grad forever home? 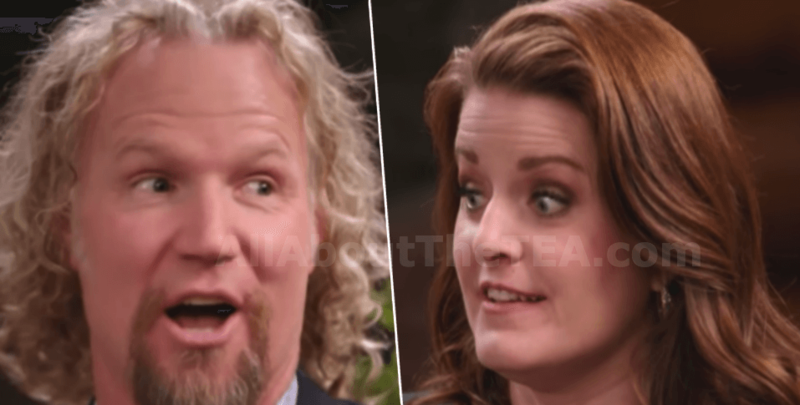 Watch Part 1 of the Sister Wives Tell-All, tonight at 8 pm, ET, on TLC.